A 51-YEAR-OLD pedestrian is in serious condition in hospital following a hit-and-run collision in Kildare. The collision happened on Canal Bridge, Osberstown, Naas at around 8.25pm yesterday evening when a car hit another parked car and then collided with the female pedestrian. The car failed to stop after the collision. An abandoned car has since been seized for a technical examination. The pedestrian is currently in serious condition at Tallaght hospital. A 16-year-old boy has been arrested this morning and is being detained at Naas Garda Station under the provisions of Section 4 of the Criminal Justice Act 1984 as amended. The road was closed for a period of time to facilitate a forensic collision examination but it has since reopened. 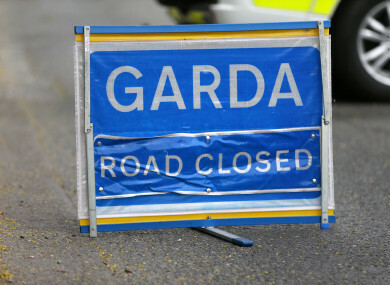 Gardaí are appealing for anyone who witnessed the collision, who may have been on that stretch of road between 8.15pm and 8.30pm or who may have any information to contact them in Naas on 045 884300, the Garda Confidential Line on 1800 666 111, or any garda station. Email “Teenager (16) arrested after woman (51) left in serious condition following hit-and-run”. Feedback on “Teenager (16) arrested after woman (51) left in serious condition following hit-and-run”.